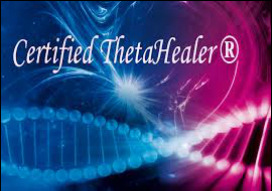 Would you like to learn Theta Healing® in your area? Do you have exceptional organisation & customer service skills? Would you like to learn Theta Healing for FREE? Pippa King is a Certified Theta Healing® Instructor and is available to travel to your area and teach your group the Basic, Advanced, Digging and Manifesting and Abundance Classes. Pippa only speaks English. Learn Theta Healing® in your area without having to travel long distances. Attend the class(es) for FREE. Financially compensated for your efforts. If you reach a minimum number bookings you can invite an additional friend to attend the for FREE. and most importantly... the benefits of being a HOST. contact Pippa for more information. If you don't want to travel, you're a good organizer, love planning events and know how to reach those in your community... then being a HOST may be a perfect option for you. Prerequisite: Depends on the Course. Investment: A £175 Host Booking Fee (refundable*) is Required to set up and schedule the classes in your area and upon acceptance and signing of host agreement.